Time. Even more than money, it’s the one thing everybody agrees they don’t have enough of. Not enough time to relax. Not enough time to keep fit. Not enough time with our friends and family. Barely enough time to sleep. Yet, the average Australian spends 20.8 hours a week watching television and 12.9 hours on the internet (source: ThinkTV.) That’s an amazing 33.7 hours a week—nearly a third of our waking hours spent staring at a screen. What would you do with a few extra weeks every year? What about an entire month? Read a book or two? Learn a musical instrument? Play a sport? Study? Start a hobby business? Catch up on sleep? Time is even more valuable than money, yet we allow all sorts of empty activities to eat it up. Where did the last two hours go? Did I really spend the whole evening on Facebook? 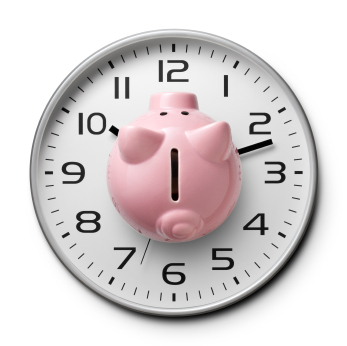 What if we approached time the same we do money? What if we were to treat it like the finite resource it is and budget our time around our goals? What if we were to set ourselves time limits on certain activities, the same way we set ourselves spending limits? How much more would we achieve with our time? Technology was supposed to free up our time, but I find that it eats up mine. I think that’s because we crave connection with our community, and the internet responds to that desire, whether through news, email, social media sites or TV. We’re now connected to the information super-highway 24-7. Our smartphones and portable computers have become prosthetic devices that we feel lost and disconnected without. The distractions are endless. It’s time to start pushing back on technology. We are the masters, they are the machines! Who’s with me?? Life is not a series of Instagram moments. Our real lives are happening off-line and they are much more beautiful and complex than a screen can give them credit for. Limit yourself to one social media service. If you try to do it all (Facebook, Twitter, Pinterest, Instagram…) it’s going to eat up precious time. And for what? Fear Of Missing Out? Don’t let FOMO run your life. Budget how much time you allow yourself to spend on social media sites and playing gaming apps. Perhaps 10 minutes at lunchtime and 10 minutes before bed. Turn off your notifications—you don’t need constant interruptions. If you find that email is an all-day distraction, close it down. Check it just a couple of times a day. Choose one or two news services and check them once a day. TV is the biggest time killer of all for Australians. We’ve not only come to rely on it for information and entertainment, but also as a source of relaxation. Scientists say that watching TV induces low Alpha waves in the brain. This is the same brain state experienced during meditation and deep relaxation. No wonder so many people are addicted to the box for their nightly de-stress. Make television a destination—record the shows you want to watch so you can fast-forward through the ads. If you feel compelled to watch TV because you pay for it, try suspending or cancelling your subscription. If you need a dose of TV to relax, try reducing your dose little by little. You might find that 30 minutes in front of the box is all you need to decompress. When we say “I haven’t got time” what we really mean is “it’s not a priority for me.” Changing our language about time and recognising that our priorities are expressed by the amount of time we spend on them is one of the most important steps towards managing time better. Time is money, but it’s more than money. It’s the very stuff life is made of—our most limited and precious resource. We can’t make any more of it and none of us know how much we’ve been given. Have fun and spend it wisely!